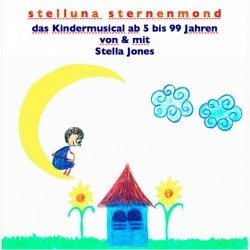 STELLUNA STERNENMOND This Children`s Musical is telling the story of Stelluna, a little girl that ones came to earth with the help of the moonlight. 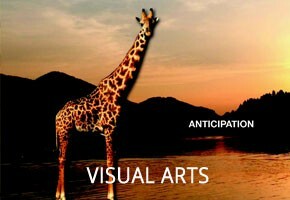 After realising sudden changes in her environment she travels to the big town trying to help the citizens to get free by the dark forces called THE BOOHS. 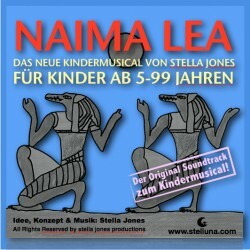 Available in german language only. 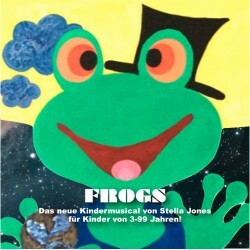 A colorful adventure of two FROGS who try to save the rainbow forest that is in danger of being destructed by the construction workers of voracious Madame Medusa. 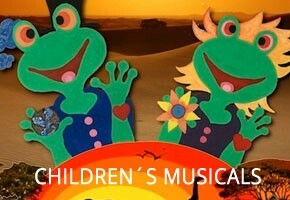 A musical with jazz, Funk and Soul rhythms for Kids from 3-99 years. 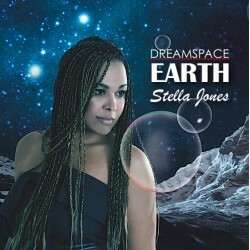 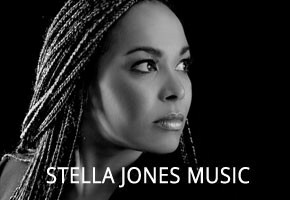 Stella Jones is presenting her brand new children`s musical and takes us on a multicolored adventure to the land of the fairies and elves. 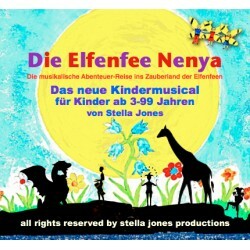 For all children age 3-99 years, available in german language only.